Reading and responding to comments can be one of the most rewarding aspects of blogging. Not only do they help you connect with your readers, they can also inspire later blog entries. The challenge, oftentimes, is following all the conversations around your content—on Google+, for instance, as well as on your website. So we’re making things a lot simpler. When I got the news from Google, I’m so excited and went to the blogger.com to test this new feature. Sofar Google hasn’t disappointed me with new Google+ comments. Since I’m using WordPress as my blogging platform, I’ve enabled this in my test blogger blog. The results have been much better than Facebook Comments. The Google+ comments are loading really faster and very minimalistic. In Google Plus Comments, there is no distraction and annoying feature, just simple and slick. Google knows the SEO values much better than any other. Google made it clear that, Google+ comments won’t slow down your blog and will be crawled by Search engines easily. It is good for every bloggers, since your comment crawled by Googlebot, then it will give bit more traffic. 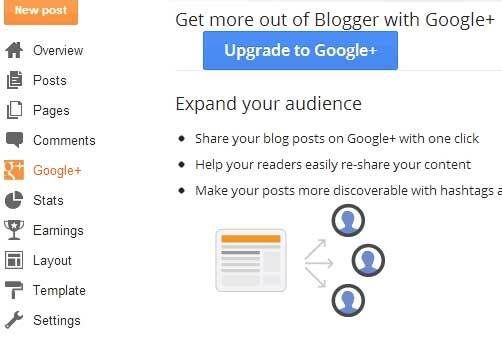 Step 1 : If you haven’t upgrade to Google+, then Upgrade Your Blogger Profile to Google+ profile and connect your all your blogs to Google+ profile. Step 2 : Next, Choose Your blog in the Blogger Dashboard and Click the Google+ in the left sidebar. Step 3: Now Click the “Use Google+ Comments on this Blog” option to enable it. That’ it, Your blog will show new Google+ Comments with your older comments. So there is no worry about your older comments. If your blog used custom 0r 3rd party blogger templates, then it may not display Google+ comments. To show Google+ Comments in custom blogger Templates add the following code in the blogger template. Enjoy With New Google+ comments, get more traffic and user engagement. There is no word about the support for other blogging platforms like WordPress, Joomla to integrate Google+ Comments. 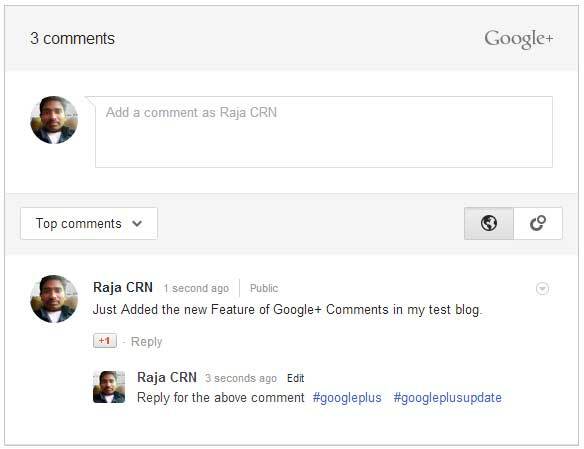 I’m expecting this new Google+ comments with WordPress Blog integration will be available soon from Google+ Team.